Piper, John, and Carson, D. A. (Strachan, Owen, and Mathis, David, eds.). The Pastor as Scholar and the Scholar as Pastor. 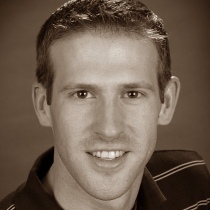 Wheaton, Illinois: Crossway, 2011. There are two dangers in ministry: intellectualism on one hand and anti-intellectualism on the other. In this book, two of the most powerful influences in my theological journey come together to address this very topic and do so with succinct clarity. 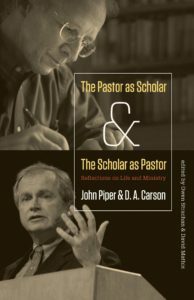 The argument of the book is that pastors must think well and theological scholars must approach their work with a pastoral heart. I normally give “ups” and then “downs,” but that format does not suit this book so I’ll simply give some noteworthy points. First, this book is for two groups of people: Pastors and scholars in a theological context. Scholars in a secular context and anyone who does ministry can benefit from the book, but it is directed to a fairly specific audience. Second, Piper does a masterful job of synthesising the role of thought vs. feeling in the life of the Christian. This has been an emphasis of his ministry, but the topic of this book results in some moments of stunning clarity (e.g. p. 50). Third, Carson handles wonderfully the need for scholars of Christianity to spend time on the “front line” of ministry. He warns that scholarly pursuit detached from the “trenches” of ministry will be of diminished value. In conclusion, this book is much needed in Fundamentalism where there is a strong tendency toward anti-intellectualism. It is also needed in broader Evangelicalism where thorough, rigorous thought is often the victim of ministerial pragmatism. I cannot imagine a pastor/elder or ministry leader who would not benefit richly by reading this book. And at 111 pages, it can probably be done in a few brief hours.